yay ! first to post again ! man .... no one can challege ur vector ! its soo solid ! i just love this one ! my personal favs ! 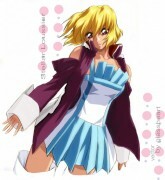 and about the athrun pic why not if u just vector from the scan u got this kira pic..
well just a suggestion ! 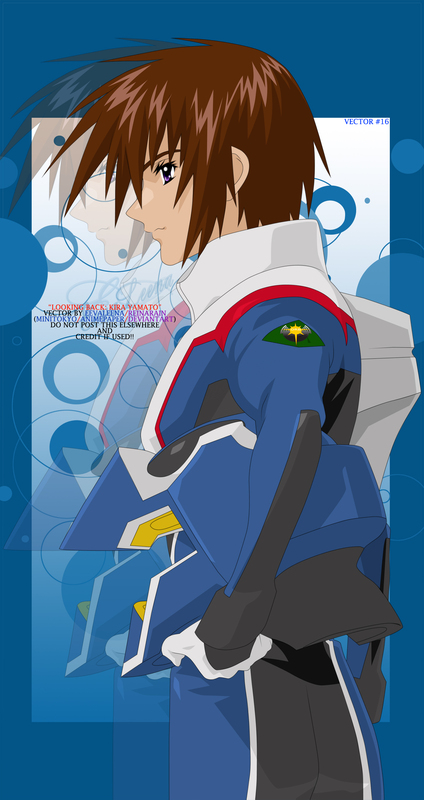 The outlines seem a little rough, maybe I should try vectoring a small pic too XP But I bet it'll be just equally terrible >_< Anyways, the vector is clean and clear XD There's VERY few pictures showing Athrun in his ORB pilot suit but I think I'll look through my massive collection of Athrun pics and scans...I think there's about 400+ of 'em XD I have loads of ZAFT pilot suit featuring Athrun though... ^_^ Keep it up! Very nice.Good work.Thanks for sharing. Ah! 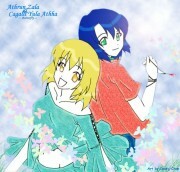 This image is clearer than the Cagalli vector you did ^_^! Great work Eeva-san! Thanks for sharing! cool vector :) neat and clean, and just plain amazing ^.^ good job! Another great vector from Eeva! Yay! May i know whats the meaning of VECTOR? this one also seem...different. nice scratchy effects used on Kira's vector there. it looks as if Kira is from a manga! hehehe...juz kidding! Nice vector there...another one for the collection!